Bringing the lightness and stiffness of a quality carbon-build to Vitus' Sommet range, the CRX is the ultimate Enduro racer. Equipped with the same geometry that led Colin Ross to four Red Bull Fox Hunt wins, there's no stopping this iconic steed. Shaped with modern Enduro-centric geometry, the Sommet CRX is the ideal steed for tackling technical descents. 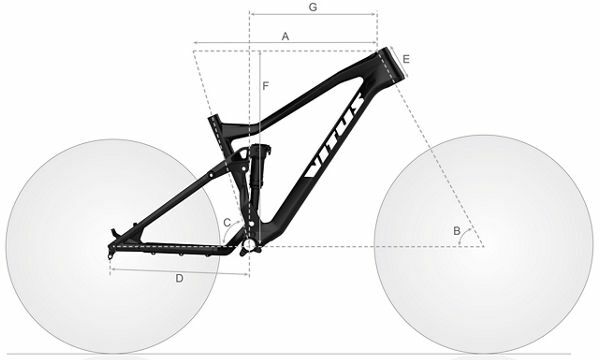 The stiff and lightweight carbon-build benefits from a phenomenal suspension system made up of a 170mm travel Fox Factory fork and 160mm travel rear shock that pivots on a sealed upper bearing, as well as a Shimano XT 1x11 drivetrain and SRAM Code R 4 piston hydraulic disc brakes. Rolling on wide WTB rims and Maxxis 3C tyres, it powers through every trail and terrain with ease on your way to the finish line. Sorry but it isn't specified what travel brand X dropper post the bike comes with and whether this changes with the size that is selected. We can confirm this comes with the standard ascend seat post. Please see the link below We hope this helps!